The Fenix TK09 is a well-built and functional flashlight with serious LE potential. 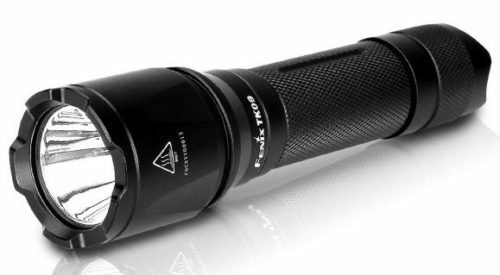 The Fenix TK09 LED flashlight has been upgraded in 2016, while staying true to the concept behind the Fenix TK Series of lights; tough, powerful and waterproof. The TK09 uses a Cree XP-L HI LED and one 18650 Lithium-ion rechargeable battery, or two CR123A Lithium batteries. The Fenix TK09 flashlight reaches a maximum 900 lumens, with a beam that can reach out to an incredible 1017ft (310m). 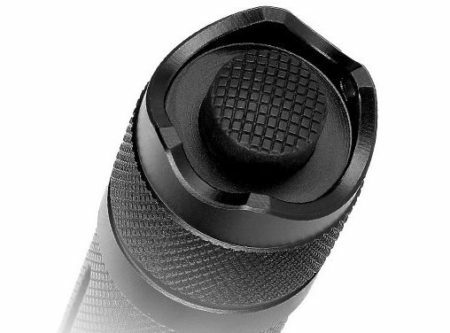 The tactical tail switch features instant access to the top brightness level and controls all modes including the important strobe function. The Fenix TK09 is a great size for patrol work. The Fenix TK09 is only 5.1 inches long, with a 1.0 inch body. Weighing only 3.7 ounces, the TK09 is made of highly durable aircraft-grade aluminum. The TK09 could be a great selection for duty belt, pocket, back-up, or duty bag carry; as well as, off-duty or go-bag carry. The small size and lightweight construction allows officers the maximum amount of versatility in carry and aiming options, while not being too cumbersome for extended use. The tail cap actuator button is easy to use, and the tail cap is beveled for easy access while protecting from accidental activations. Operation of the Fenix TK09 is accomplished through a tail cap button. The TK09 is programmed to start on the high setting, and has the option of temporary on/off with a slight press of the button, or full-time on/off by pressing the button until it clicks. To cycle through Medium, Low, and Strobe settings the user simply taps the button and then releases, and then taps to the desired lighting setting within one second of the first tap. Waiting longer to tap will reset the light to High setting. Once the desired light setting is reached press the button to click in for full-time use. Fenix TK09 can produce an incredible level of illumination. One of the problems with high lumen flashlights is the build up of heat. The Fenix TK09 is designed with over-heat protection to help keep the surface temperature of the flashlight body from becoming too hot to hold. To accomplish this the flashlight will automatically shift to Medium after 5 minutes of constant on at High setting. Another great feature of the TK09 is the reverse polarity protection, so the light is not fried by accidentally placing the batteries in backwards. The TK09 also has a low voltage warning system that will automatically switch to the next lowest light setting. When the flashlight reaches low setting the light will flash three times every 5 minutes to remind the user to charge the batteries. This option only works with the 18650 rechargeable Lithium-ion battery. Officer’s should not be too worried about this change, considering the Medium light setting still throws out an impressive 450 lumens. Disassembling the sealed head may cause damage to the light and will void the warranty. Fenix recommends using excellent quality batteries. If the flashlight will not be used for an extended period, remove the battery, or the flashlight could be damaged by electrolyte leakage or battery explosion. Periodic cleaning of the battery contacts improves the flashlight’s performance as dirty contacts may cause the flashlight to flicker, shine intermittently or even fail to illuminate. *Due to the protective setup of automatically turning to Mid from High after working 5 minutes, the runtime of the High brightness level is the accumulated time. 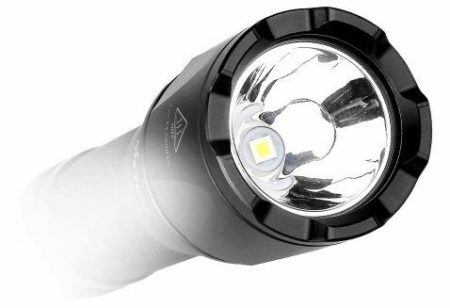 The Cree XP-L HI LED provides outstanding light capabilities. My exposure to the Fenix TK09 light was limited to a few minutes at the Fenix booth at SHOT Show. However, from my short time with the light I liked the size, feel, and lighting options the TK09 provided. The variable lighting options are great, and the transition between lighting modes is not too difficult to achieve. 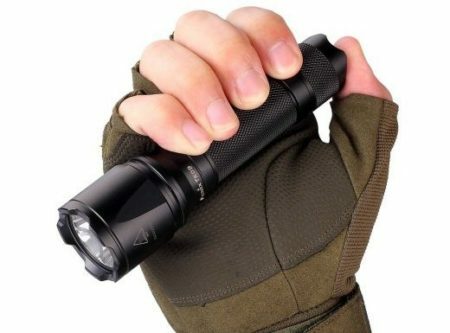 I would emphasize though that officers should practice with any flashlight they select for duty use, to ensure they can successfully operate the light as desired in high-stress incidents. The TK09 appeared to be very well-built, using some of the most advanced technology in flashlight manufacturing. Fenix has a good name in the outdoor activities market, and appear to have a very good law enforcement product as well. The 900 lumen High setting is incredibly bright and powerful. Having a strobe function is a critical feature in my opinion. Strobe lights, when trained with properly, can provide an officer a huge advantage over an opponent. Officers can see the opponent and any weapons, while the suspect’s eyes and mind are unable to properly focus on where exactly the officer is located. If there were one complaint I had with the TK09 it is the pre-programmed setting to High. 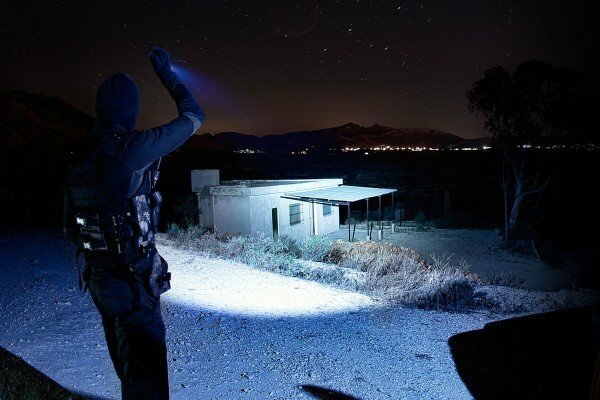 Light can be a friend or enemy, and 900 lumens is brighter than many patrol car spotlights. Officers run the risk of reflection blindness if they are not careful using the Fenix TK09 on High setting. I would have preferred to have the still bright 450 lumen Medium setting as the standard setting, but I understand that would have created a nightmare in cycling to desired light settings.